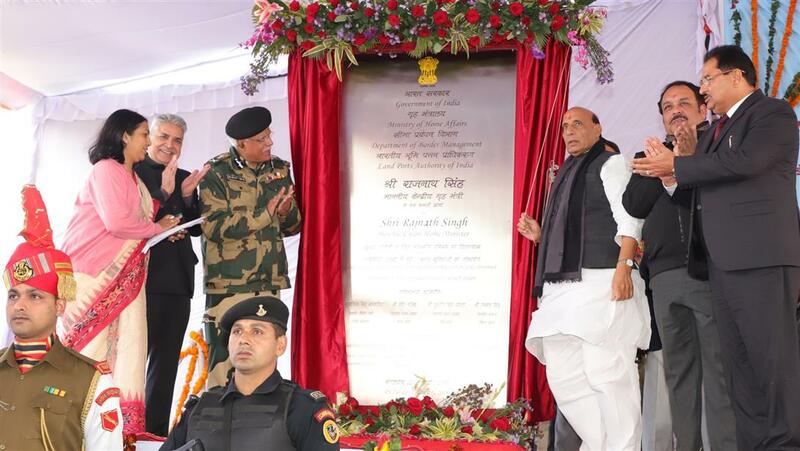 The Union Home Minister Shri Rajnath Singh today laid the foundation stone for Security Force Residential Complex at Integrated Check Post (ICP), Atari at Indo-Pak International border in Amritsar district of Punjab. 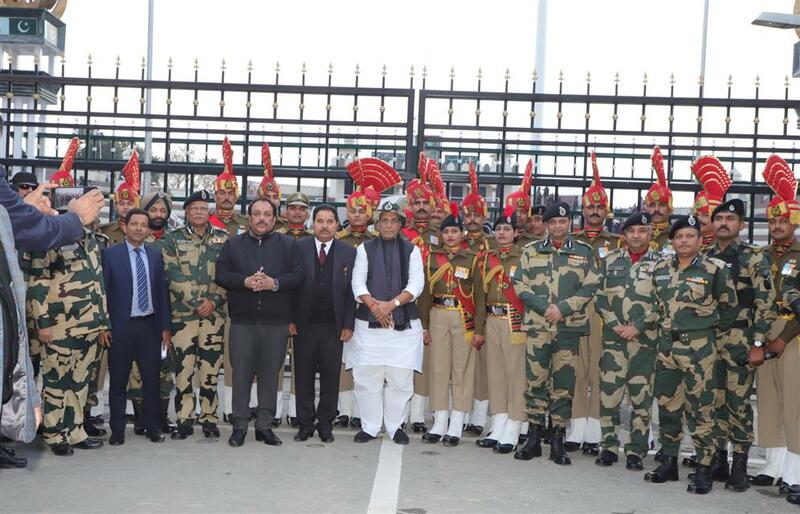 He also dedicated the newly created facilities at Joint Check Post (JCP). Lauding the role of security forces, he said that it will be the first residential complex at ICP and the Government has decided to construct such kind of Complexes at all the ICPs of the country. 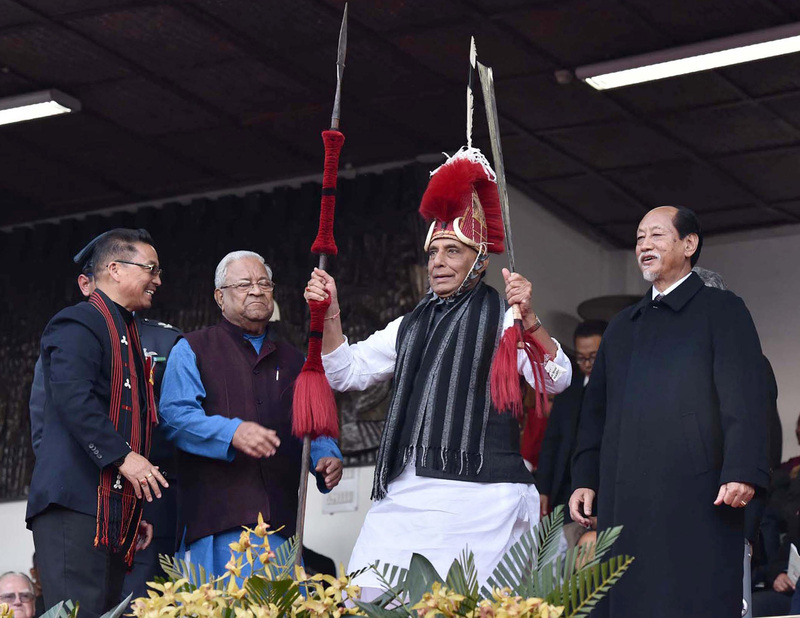 The Union Home Minister, Shri Rajnath Singh unveiling the plaque at the foundation stone laying function of Security Force Residential Complex and dedication of the newly created facilities, at Integrated Check Post (ICP) Atari, Amritsar district, in Punjab on January 22, 2019. 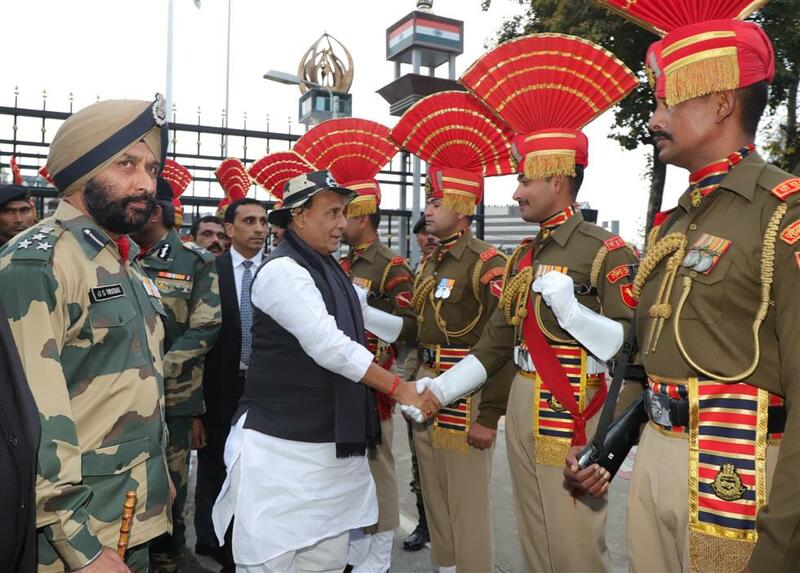 Shri Rajnath Singh hoped that this facility will further boost the morale of security force personnel. He also said that with modern facilities at this ICP, the trade will not only be increased with our neighbour, but also with other countries through this route. These facilities will also provide employment to locals, he added further. Later on the Union Home Minister inaugurated viewers’ gallery and also witnessed the Retreat Ceremony at JCP Atari. Earlier he was welcomed by DG BSF Shri Rajni Kant Mishra, Inspector General BSF Punjab Frontier Shri Mahipal Singh Yadav and other senior officials. Later on talking to media, Shri Rajnath Singh said that the Government has started the process to acquire the land for Kartarpur corridor in Gurdaspur district of the state.